This week I am going to write a series of four or so blog entries about the Christian Sabbath attempting to explain my personal view. Most of the teaching that I have heard on the Sabbath has been unsatisfying to me because it is either viewed as a policy with a list of joyless regulations or as an old-fashioned obsolete shadow of the past. My view will become clear by the end of the week but there are several systemic underpinnings which need to be established first. Many are familiar with the Sabbath of Ten Commandments Fame: “Remember the Sabbath day, to keep it holy. 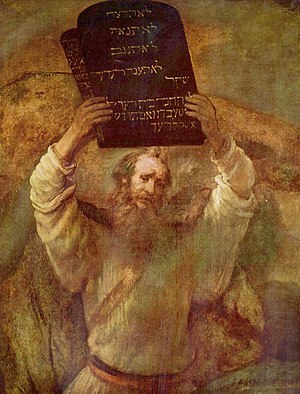 Six days you shall labor, and do all your work, but the seventh day is a Sabbath to the LORD your God.” And while few take exception to the other 9 commandments, some declare ambiguity about this fourth commandment. It is this Pharisaic view of the Sabbath command that is at the heart of the problem for Christians today who reject legalism and therefore throw away the legalistic interpretations along with the good command having the proverbial effect of throwing the baby out with the bath water, an expression we use to suggest an avoidable error when something good is eliminated while attempting to dispose of something bad. Sometimes because of an excessive zeal on the Serious side the heart of the command is discarded while retaining the unnecessary rules (aka throwing away the baby but keeping the bath water). The Pharisees along with today’s overly zealous Biblicists damage the message, heart and intention of the law by a false zeal that cares more for laws than people. This pushes Christ-loving, Bible-appreciating folks to run from the good command because of all of its weighty attachments. We learn a lot about the Sabbath from Jesus’ interactions with the rule-oriented leaders and we find that Jesus’ heart was not to cancel the sabbath but to protect its design from abuse.